Skinmarket USA — Factory Design Worx INC. 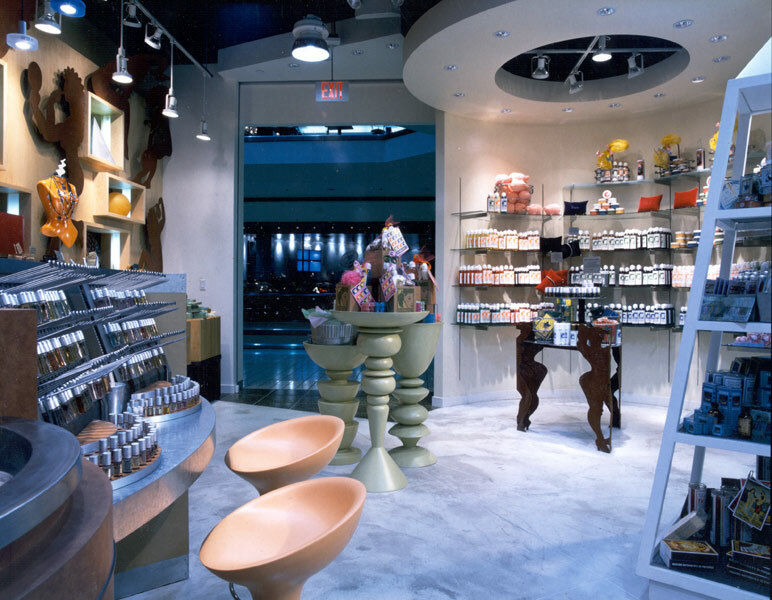 Though concepted as a bath, bodycare and cosmetic store for young women16 to 25, what evolved was the design of a spirited, retail setting, colourful, vibrant, off the wall and very uncorporate. More club like than traditional retail, the store’s eclectic interior details offered many signature elements. A customer wrote that the store reminded her of a page from her favorite magazine.